The news media will lie about anything to back the big multinationals that are destroying America. 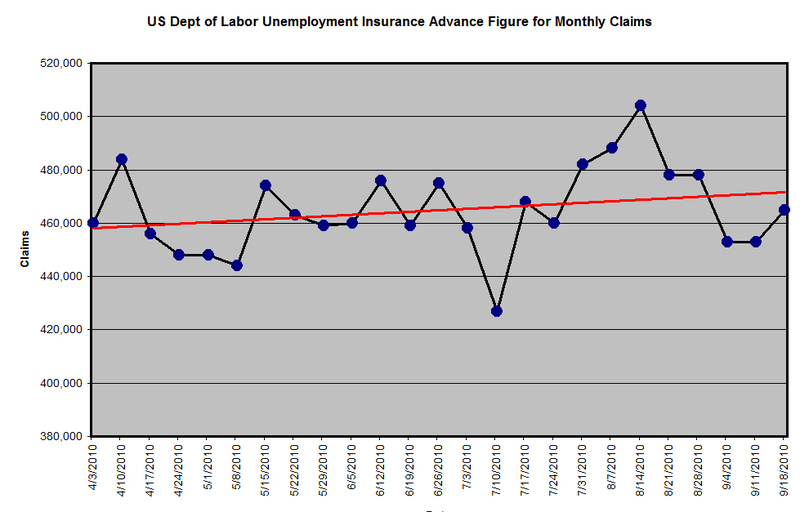 Here’s what the current jobless claims chart looks like—and the trend (the red line) is always up. The number of people living in poverty in America rose by nearly 4 million to 43.6 million in 2009—the largest figure in the 51 years for which poverty estimates are available—according to the Census Bureau. 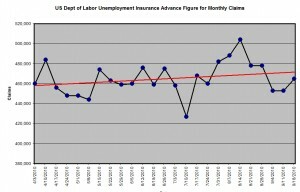 The bureau stated there were at least 8.8 million families living in poverty in 2009. Child poverty rose from 19 percent to 20.7 percent. The share of Americans without health coverage rose from 15.4 percent to 16.7 percent—or 50.7 million people—due to the loss jobs during the recession. Beginning next year, the government plans to publish new, supplemental poverty figures that are expected to show even higher numbers of people in poverty than previously known. Obama misses the point completely and does so on purpose. It is not financial incentives or monetary manipulation that is the cure. American jobs are lost because they have been replaced by cheap overseas labor—a trend which continues. It is as simple as that. Instead of wages being paid to American workers the profits of cheap foreign labor are going to large multinational corporations – companies like Microsoft which pays 27¢ an hour for Chinese labor. Bring the jobs back to America!